Founder and company President, Aldin Loewen began at age 15 working in the logging industry. Working with a chainsaw and moving up to Skidders, logging trucks and Feller bunchers, Aldin believed he had a better idea for cutting down trees. Beginning in 1985, in a 1 bay shop, he designed and built his own sawhead. Over 20 years of refinement have brought us to the present where Loewen now supplies most forestry equipment dealers with our lead product, the Loewen High Rotation wrist. In 2006 Loewen Forestry turned it’s attention to the construction field, and in 2007, introduced two new products to the market. The Loewen 360 with quick-connect, and the Loewen Thumb. Models are available for any size of excavator. 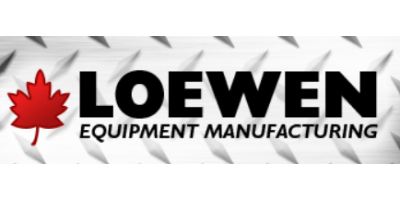 Late 2007 brought the name change to e. LOEWEN EQUIPMENT MANUFACTURING, to better represent the company’s expanding vision.